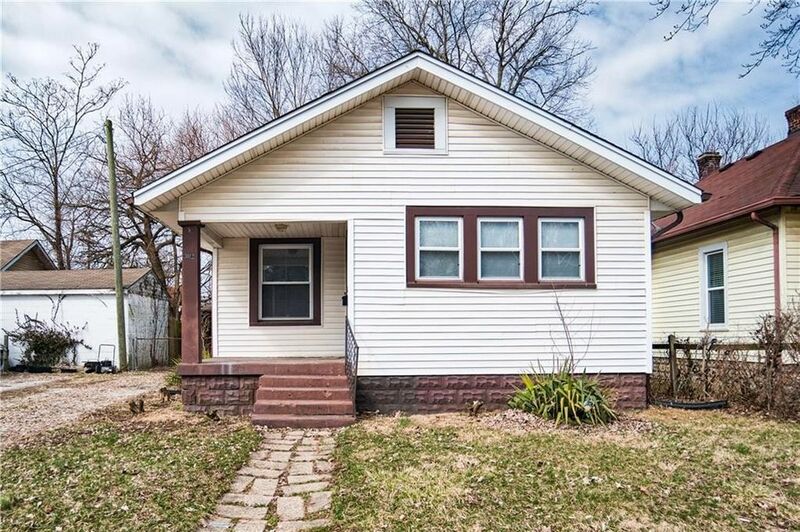 Charming 2 bedroom, 1 bath ranch in Indianapolis. Stone walkway leads to covered front porch. Step into the bright foyer with beautiful laminate flooring, that continues through the large living room. Kitchen has tons of counter space, cabinets, and a walk-in pantry for storage! The two bedrooms are very spacious! The backyard is fenced in, with raised flower beds and fire pit great for chilly nights! The single car garage needs some TLC! A must see!